How Long Does “Permanent” Alimony Last in Florida? However, if the divorcing spouses agree to a different alimony arrangement, that may override the defaults provided by law. Here is an example taken from a recent decision by the Florida Second District Court of Appeals. In this case, Inman v. Inman, a former husband asked a judge to terminate a previous award of permanent alimony granted to his former wife. 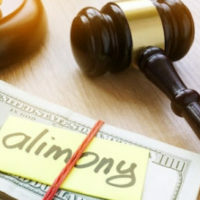 At the time of the divorce, the parties stipulated to a divorce decree that said the former husband would pay $800 per month in alimony “each month thereafter for the remainder of [the former wife’s] life.” The decree made no mention of remarriage. Yet after the former wife remarried, the former husband sought to terminate his alimony obligation, citing Florida law on the subject. The trial court denied the petition, explaining that “a marital settlement agreement provides for the continuing payment of alimony despite the remarriage of the recipient, then its terms will control over those” in the statute. The Second District appealed this finding, emphasizing that the terms of the parties’ divorce decree “unambiguously” stated alimony would only terminate automatically upon the former wife’s death. In this case, the former husband cited his wife’s “increased financial ability due to her remarriage” as a “substantial change in circumstances.” But the trial court said that given there was a “voluntary agreement” between the parties with respect to alimony, there was an “exceptionally heavy” burden on the former husband that he failed to meet. The Second District, however, said the law does not require such a heavier burden, so it returned the case to the trial court for reconsideration. If you need advice on seeking, terminating, or modifying a spousal support order, you should contact an experienced Boca Raton alimony attorney. Call WiseLieberman, PLLC, at 561-488-7788 to schedule a confidential consultation today with a member of our divorce and family law team.